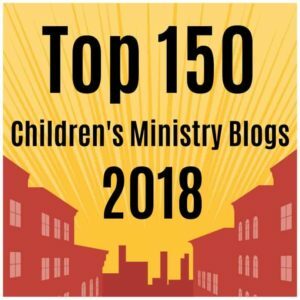 This lesson is the second in a series of five that explore the theme “Guess Who’s Coming to Dinner?” through Bible stories that each involve the sharing of a meal. It is based on the story of Jesus and Zacchaeus from Luke 19:2-10. Kids will learn about the acceptance that Jesus showed to all people and how he can make a difference in their lives. This lesson would work for Sunday School or Children’s Church. The introduction or block activity could each be used alone as a children’s sermon. Estimated length is 45-60 minutes. You can also download our free Zacchaeus coloring page to supplement your lesson. Through the exploration of the Zacchaeus Bible story, children will experience what “not seeing” feels like, learn how Jesus accepted, included, and loved everyone and how we should do the same, and will consider sin and brokenness and how we can be “put together” and forgiven again. Explanation: The big idea is that when we gather together around food and drink, Jesus is with us too, and this unites and strengthens our Christian community. For churches that regularly observe the sacrament of Holy Communion, each of these Bible stories and lessons can be connected to the story of The Last Supper and the belief that Jesus told us to eat bread and drink wine together and remember him. Jesus invites everyone to his table for forgiveness and renewal, especially sinners and outcasts, and his hope for us is that we would do the same. The story of Zacchaeus the Tax Collector can be used to teach the way Jesus accepted, forgave, loved, and welcomed outcasts and sinners and can be a basis for discussing how we are all called to love everyone in this same manner. The change of heart and desire to repent Zacchaeus experiences after Jesus comes to his home is a good example of the way we each sin and become far away from God, but are able to fix what is broken by turning to Jesus and asking for forgiveness. Introduction: Before the lesson, place a picture of Jesus in the bottom of a box. As you begin the lesson, tell the children that there is something amazing and wonderful in the box and ask them if they would like to see it. Then, create a situation that would make it difficult for children to see into the box, either having adults or tall children stand in front, or possibly placing the box too high on a table or counter so that they cannot see inside. Discuss how not being able to see makes us feel. Ask the children if they can think of other times they haven’t been able to see. Move the box so that they can see inside. Explain that today’s Bible story is also about someone who had a hard time seeing Jesus. Story: Read the story of Zacchaeus found in Luke 19:2-10. You can use any Bible. Good versions for children can be found on page 413 of The Beginner’s Bible published by Mission City Press or page 264 of The Jesus Storybook Bible by Sally Lloyd-Jones and published by Zondervan. Group Publishing also has a big book story titled Zacchaeus, which works especially well with a large crowd. After the story, discussion questions could include; How did Zacchaeus get to see Jesus? What was Zacchaeus like at the beginning of the story? Why didn’t Zacchaeus have any friends? What did Jesus do for Zacchaeus? How did Zacchaeus change? Game: Play musical chairs. Place chairs (or carpet squares, pieces of paper, or whatever you are using to mark “spots”) in a circle, using one less than the number of players. Play music and have the children walk around the circle, when the music stops, they must sit down on a spot as fast as they can. The player left without a place to sit is “out”. Remove one more “spot” and play again. Continue playing until only one player remains. Possible questions for discussion after the game include; What did it feel like to be the last person playing? What did it feel like to be “out”? What does it mean to leave someone out? Have you ever not included someone on purpose? Have you ever been the one excluded? How does Jesus want us to treat one another? Who was Jesus especially good at including? Activity: Split the children up into several small groups. Allow them to play the game Jenga or to take turns stacking blocks to make a tower. Either circulate around or have a discussion time following the activity and talk with the children about breaking and fixing things. One rule I like to live by is, “You break it. You fix it.” This applies to material things, but also to relationships and feelings. Each one of us continually breaks our relationship with Jesus. We sin and we become far away from him, but when we ask for his forgiveness and unite with him at his Communion table, he fixes us and makes us whole again. Art: Ask the children to draw pictures about what they would do with Jesus if he came to visit their house, just like he went to Zacchaeus’ house. Share and discuss the drawings. If time allows, you may want to share the book If Jesus Came To My House by Joan Gale Thomas. The story ends with the little boy realizing that Jesus probably won’t come to his house in human form, but that he can serve others in honor of Jesus. Communion Connection: Zacchaeus was broken and had strayed from his relationship with Jesus, but Jesus still wanted to be with him. Jesus even came to his house for dinner! Jesus loves each of us the most, especially sinners and outcasts, and everyone is invited to come to the Communion table, receive forgiveness, and be made whole through Christ’s body and blood. Prayer: Consider using a “repeat after me prayer”. Pause between every few words, allowing the children to echo what you have said. Dear Jesus/Thank you/for your forgiveness/and for loving everyone/the most./Help us/to love others/like you do. /Amen. Need More Bible Lessons? 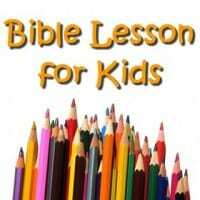 Be sure to visit our pages for Children’s Church and Sunday School lesson plans.